Cisco has reported quarterly revenue above Wall Street estimates, driven by growth in the network gear maker's newer businesses such as cyber security. Revenue from its security business, which offers firewall protection and breach detection systems, rose 12 per cent to US$627 million - eight analysts polled by Reuters had expected revenue of US$615.8 million. Cisco in August said it would buy cyber security provider Duo Security for US$2.35 billion, the latest acquisition by CEO Chuck Robbins as he steers the company to high-growth areas such as cyber security and Internet of Things to make up for slowing demand for its core business. 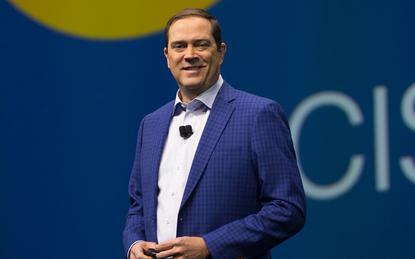 “We had a very strong finish to a great year,” said Chuck Robbins, chairman and CEO of Cisco. “Our results demonstrate a combination of strong customer adoption of our latest innovations, the ongoing value customers see in our software and subscription offerings, and excellent execution across our customer segments and geographies. Meanwhile, revenue in Cisco's application software businesses rose 10 per cent to US$1.34 billion. Revenue in its infrastructure platform division, which houses the company's traditional business of supplying switches and routers, rose seven per cent to US$7.44 billion - eight analysts polled by Reuters had expected revenue of US$7.32 billion. The company's net income rose to US$3.80 billion, or 81 cents per share, in the fourth quarter ended 28 July, from US$2.42 billion, or 48 cents per share, a year earlier. “Q4 was another quarter of broad-based strength across our portfolio reflecting our strong execution and momentum,” added Kelly Kramer, CFO of Cisco. On an adjusted basis, the company earned 70 cents per share, with total revenue increasing to US$12.84 billion from US$12.13 billion. Analysts on average had expected a profit of 69 cents per share and revenue of US$12.77 billion - the vendor’s shares rose 2.2 per cent to US$44.85 after the bell.